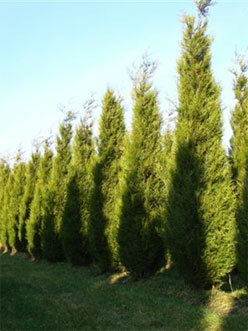 Thuja plicata is an evergreen conifer native to the western parts of North America. It was introduced to Western Europe and is now naturalised in Britain. 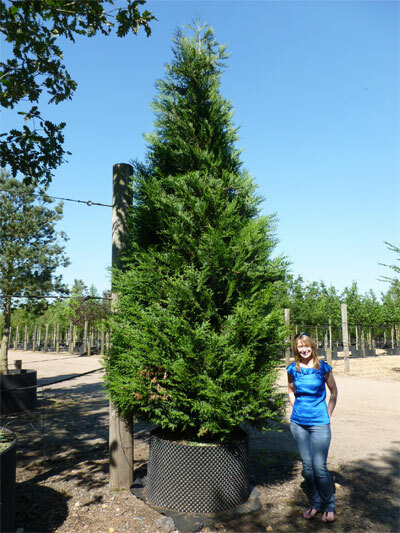 Despite the common name Western redcedar, it is part of the Cupressus family and not a true cedar. 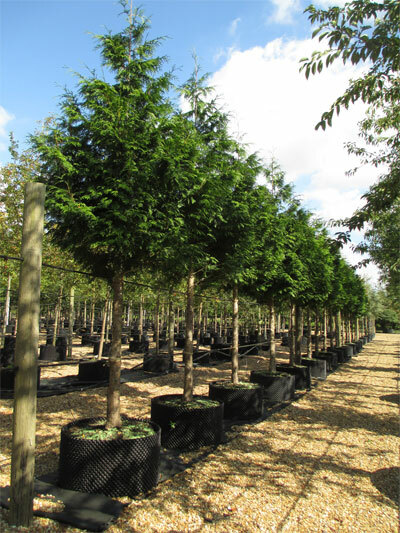 Available as a standard tree or feathered plant, Western redcedar makes a great alternative to Leylandii for hedging as it is slower growing but still creates a dense evergreen hedge. It will grow on any well drained soil and can tolerate sun or shade. 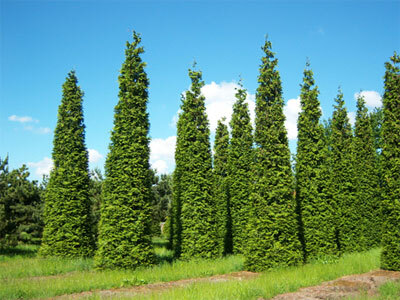 The mid green foliage, aromatic when crushed, is formed of flat sprays of scale like leaves. The species name plicata comes from the Latin plicatae meaning ‘folded’ referring to the pattern of the leaves. Clusters of small cones are produced in spring, green then ripening to brown at maturity. 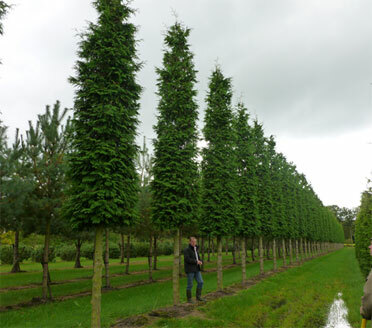 A long lived tree, the oldest known specimen of Thuja plicata is over 1460 years old. Plants in Britain are still youngsters by comparison as it was only introduced here in the mid 19th century. 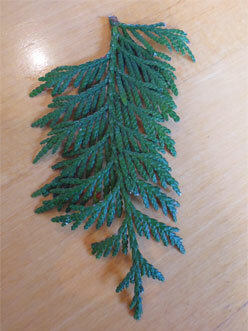 Western redcedar also has a great number of uses. The wood has a natural resistance to decay and so is often used for a great range of things, construction, decking, kayaks, totem poles and beehives to name a few. 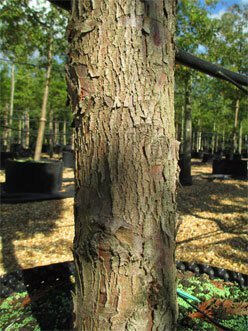 The bark and roots have been used for baskets, ropes, mats, blankets and clothing. Some native American tribes call themselves the ‘people of the redcedar’ due to their dependence on it as a material. 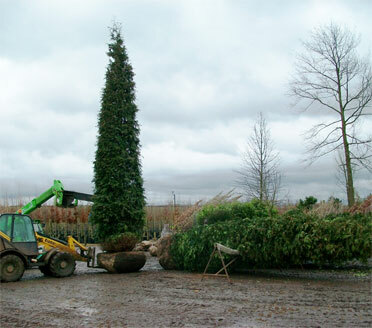 Thuja plicata Atrovirens and Thuja plicata Excelsa are also available from Deepdale Trees. These varieties are smaller both in height, up to 15m, and spread, 3-5m.